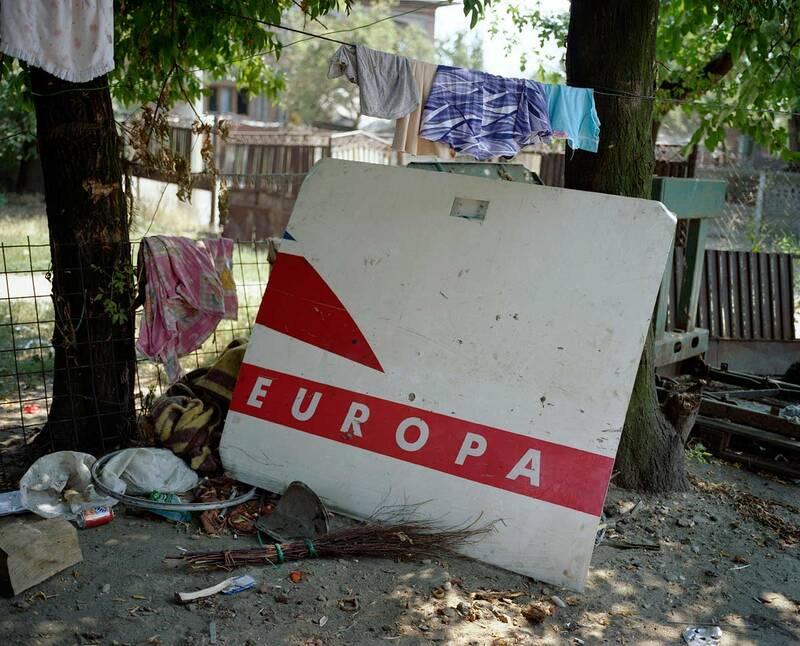 A piece of an airplane, bearing the insignia 'Europa', stands against a tree in the village of Sintesti, in Romania, early August 2006. The Kalderari roma of Sintesti are by tradition metal workers, originally making alcohol stills, pots and pans, but now dealing in scrap metal such as this part of a plane. In January 2007 Romania will join the European Community. The roma of Sintesti have made large profits from their business enabling them to build large houses in the village of Sintesti, 20km from Bucharest, and to invest in fast, Western brand name cars such as BMW's, Mercedes and Porsche.